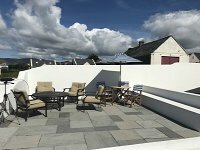 Skellig Bay View House, along with the adjoining Cottage, was lovingly designed as a fun filled family beach house. It has welcomed members of the owner's extended family for many happy years and now, for the first time, it is available for you to rent for your next extended family vacation. 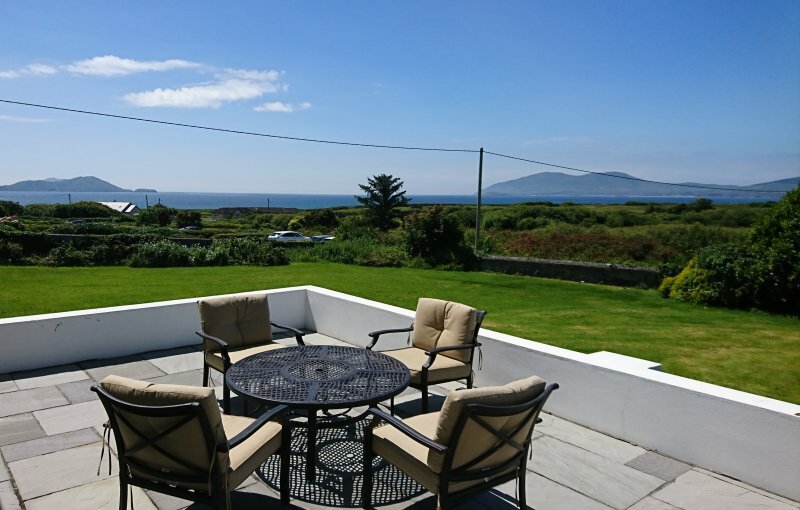 In all, when combined with Skellig Bay View Cottage, this property can accommodate up to 15 people. Skellig Bay View House & Cottage features in our Large Holiday Homes Ireland Collection. The main house can sleep up to 11 people in 5 bedrooms and the Cottage has an additional 2 bedrooms. This house really does have everything you could possibly need for your stay and the owner wants you to enjoy every aspect of his home so welcomes you to use everything within it. There is nothing "fancy" about this house and there are no airs and graces - it is simply there to be enjoyed by young and old alike. It is a home that was designed to be "lived in". What is wonderful about Skellig Bay VIew House & Cottage is that a large group of extended family or friends can converge and stay in one great location, yet everyone can still enjoy some time apart from the group. There are lots of nooks and crannies in this house, perfect for stealing away to with a good book! This house is ideal as a multi-generational vacation home. There are bedrooms ideal for the "grown ups" and others that are perfect for children. The main house even has a separate youngsters' sitting room with a large comfy couch, plenty of space, DVD player, large TV and even some toys and games. Wifi is available free of charge to all guests. Under no circumstances will pets be permitted at Skellig Bay View House and Cottage.